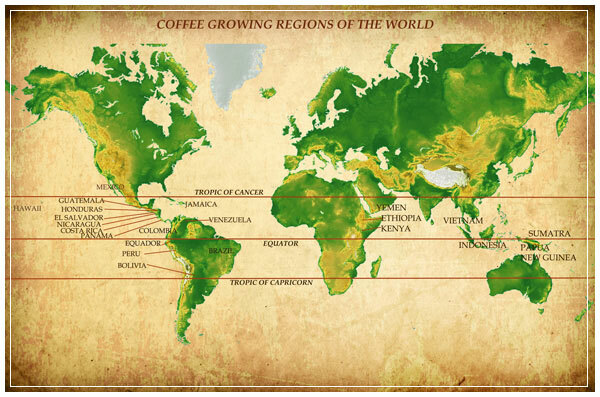 Coffee grows between the Tropics of Cancer and Capricorn. It is produced as far as 25° North and 30° South. It can grow up to an altitude of 2000 metres above sea level but it only flowers when the temperature rises above 15°. 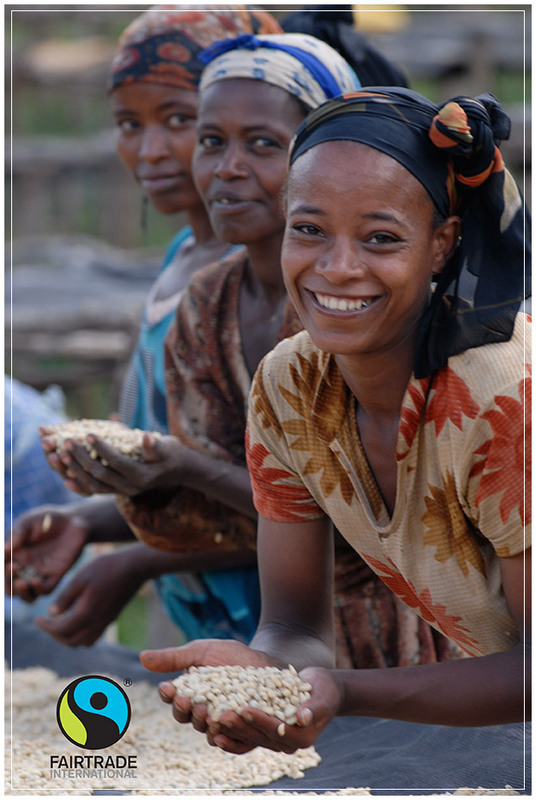 The two main types are: Coffea Arabica & Coffea Robusta. Coffea Arabica is a species of coffea originally indigenous to the mountains of Yemen in the Arabian Peninsula, hence its name, and also from the southwestern highlands of Ethiopia and southeastern Sudan. It is also known as the “coffee shrub of Arabia”, “mountain coffee” or “arabica coffee”. Coffea Arabica is believed to be the first species of coffee to be cultivated, being grown in southwest Arabia for well over 1,000 years. Coffea Canephora (Robusta Coffee) is a species of coffee which has its origins in central and western sub-Saharan Africa. It is grown mostly in Africa and Brazil, where it is often called Conillon. It is also grown in Southeast Asia where French colonists introduced it in the late 19th century.